Before All Memory Is Lost is a one-of-a-kind collection of memoirs, poetry and diary excerpts from women Canadian Holocaust survivors. These remarkable stories of courage, terror, family and loss depict the experiences of women facing unimaginable situations and their struggles to save themselves and all they cherish. This is the Holocaust through the eyes of sister survivors. The anthology is divided into four sections that paint a dynamic, wide-ranging exploration of women’s experiences of the Holocaust. These stories of hiding provide insight into the complexity of human behaviour during the Holocaust. Women desperately search for shelter in a world inflamed by xenophobic nationalism, where their neighbours were rewarded for participating in the genocidal process, and the penalty for aiding the victims was not only your own death but the death of your family. We also meet the courageous people who risked their lives to provide shelter. 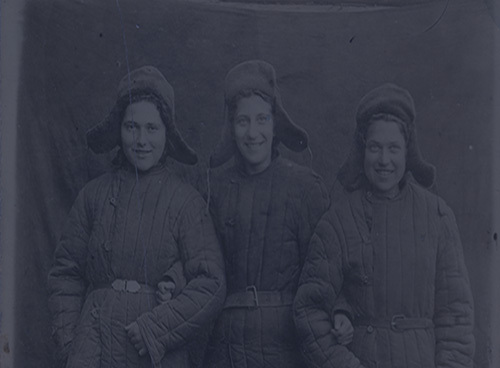 When we read the harrowing stories of Jewish women in hiding and witness their survival in unimaginable conditions, we are forced to confront the moral choices of individuals and the broken world in which they were made. The memoirs in this section illustrate experiences of concentration camps, labour camps and death camps. These women watched their loved ones — the elderly, the sickly, the young and the women visibly pregnant — march to gas chambers. They watched young, healthy mothers carry their babies and toddlers to their deaths rather than abandon them to save themselves. And those not selected for death learned soon enough that their parents, grandparents, cousins, children, friends and neighbours would be counted in a statistic that ballooned into the millions. Confined to different barracks and subcamps, guarded by separate personnel and removed in selektions for being pregnant or caring for small children, women in camps experienced hardships that varied from those of men. 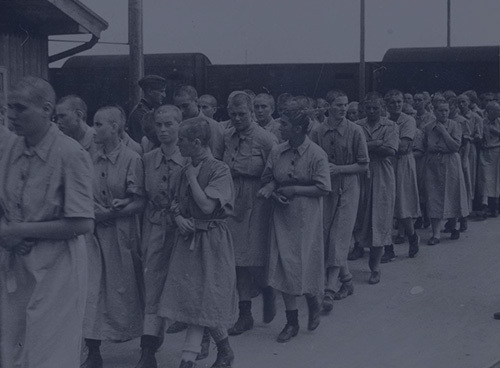 Upon entering the camp, women remained in a purely female world where the hierarchies and camp “politics” prisoners had to navigate to survive were also unique. Many women coped with the hell of the camps by adapting skills they had acquired in their pre-deportation lives: they created “surrogate” families, adopting one another to offer consolation, assistance or even a slice of bread to a surrogate daughter, sister or mother. In the isolation that followed deportation, they tended to re-create such family groups, many of which made the difference between life and death. The women’s stories collected here paint a vivid, powerful illustration of the female camp experience. During the height of the Holocaust being identified as a Jew was pretty much a death sentence. 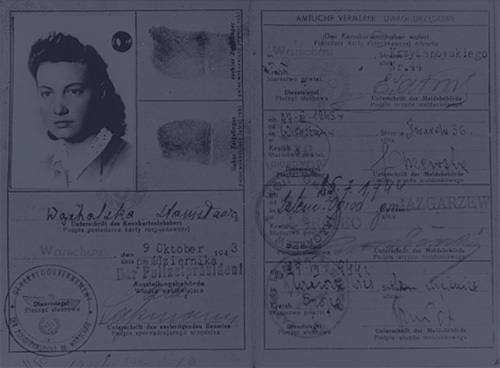 To survive, many woman had to hide in plain sight, to pass as non-Jews through a variety of techniques at deception. If they had blonde hair, blue or green or grey eyes, spoke Polish or German without a Yiddish accent, and if they were clever and very, very lucky, they had a chance. Women who passed lived in a state of continuous terror; they risked their lives merely by leaving their apartment. Yet, they had to leave to survive. They were not hidden Jews; they were Jews who tried to look as if they led normal lives while hiding a deadly secret. Learn more about how these women "passed" to survive and explore the complex racial and ethnic identity politics of the time. 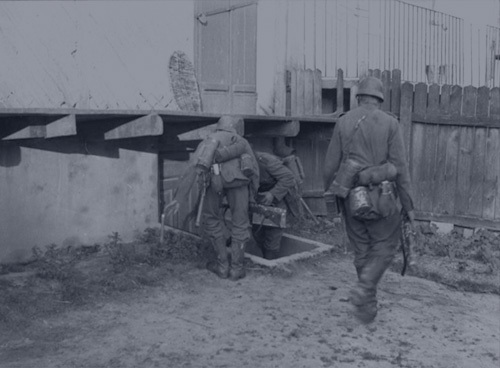 Before the Final Solution and its organized system of deportations and death camps, the mass killing of Jews was being carried out by the Einsatzgruppen and local collaborators in Eastern Poland, Ukraine, Belarus, Lithuania and Latvia. These mass killings and pogroms followed the German army as it conquered Soviet-occupied territory and marched towards Moscow. As this genocidal force spread eastward, thousands of Jews tried to escape to the Soviet Union to find a safe haven. These refugees faced a new set of problems when they arrived in the Soviet Union. Many of these Jewish refugees were considered dangerous illegal aliens and were sent to gulags in far flung regions. Myrna Goldenberg is the co-editor of Different Horrors, Same Hell: Gender and the Holocaust (2013) and Experience and Expression: Women, the Nazis, and the Holocaust (2003), as well as a number of other publications. A professor emerita of Montgomery College, Maryland, Goldenberg’s research focuses on gender and the Holocaust and on teaching the Holocaust in the university and college classroom. After the Nazi occupation of Poland on September 1, 1939, Rabbi Hirschprung’s peaceful shtetl of Dukla, in the eastern Polish region of Galicia, almost immediately changed into a town marked by fear, insecurity and uncertainty. Rabbi Hirschprung, as a leader of the community, was specifically targeted and persecuted by the Nazis, as was his grandfather Rabbi David Tsvi Sehmann, the esteemed rabbi of Dukla and one of the most prominent rabbis in Galicia at that time.